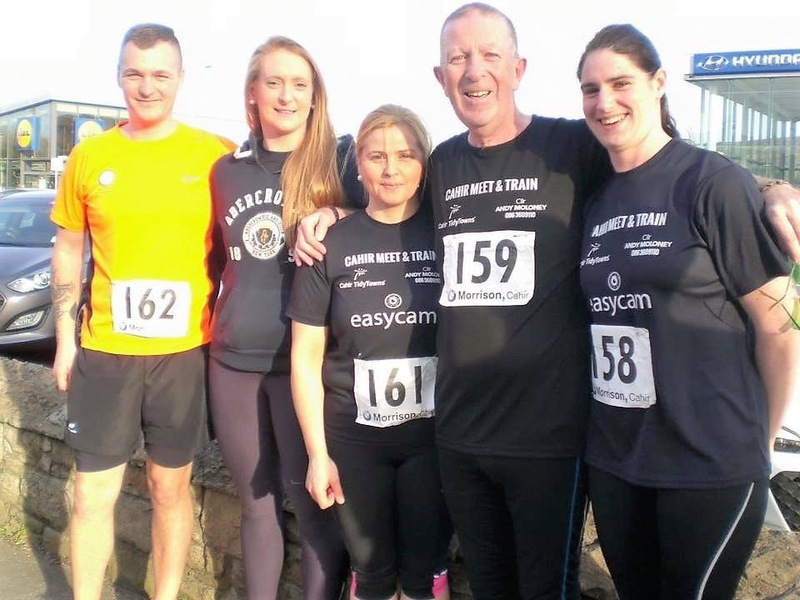 Cahir Meet & Train Group members Tyrone Power, Michelle Lonergan, Nicola Ryan, Jim O Donnell and Grainne Wade were successful in completing the 500km challenge this year and ended up in with 700km on St Stephan's Day run in Clonmel. This is another milestone for the group and huge congrats to all on this amazing achievement. The official RTE Operation Transformation 5km walk is on Saturday 7th January nationally at 9.30 am. This is an early start and is dictated by the show on a national level. It ends with another 5km run at the end of February. We will start a couch to 5km programme on Tuesday 3rd Jan for anyone wanting to get involved. We also start back with the new season for our seasons campaigners and we have every level of fitness from walkers to runners. This is all free to join as we just Meet and Train. The base is Duneske and the time is 7.30 on Tuesday's and Thursday's. We start back with Sunday walking in January also and the first walk is Glengarra on Sunday 9th at 11am.